I am crazy about Fiber Wall Art. How come I never heard about this before?! It's so strange but I am just so fascinated. 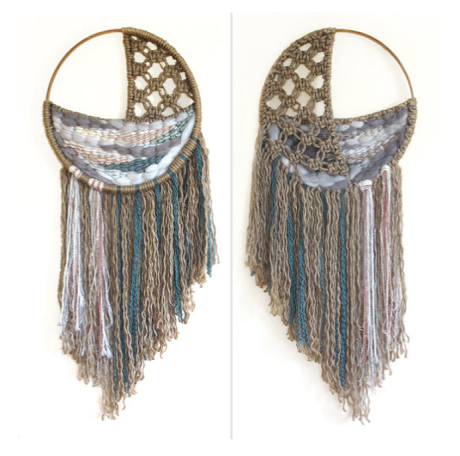 The other day, when I was at the gym, I spend my whole time on the elliptical checking out macrame and fiber wall art. Then I went to this Estate Sale shop near my house and they had the BEST wall fiber wall art for such a great price! I haven't found the perfect place to hang it, but updates will happen soon.